Having woken up to find the weather significantly less overcast than the previous day, I decided that I should probably take advantage of what I expected to be warm weather and walk into Philadelphia again. I purchased a bus token from the reception as Chamounix in order to get the bus back later that day. However, once I got out into the open I found a sub-arctic gale blowing and upped the pace as best I could to get to the sheltered city centre as soon as possible. 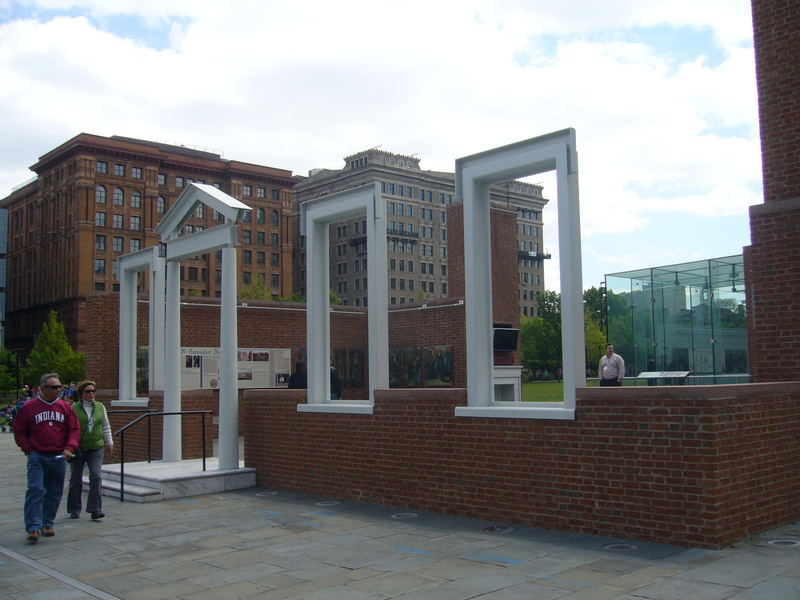 Once I arrived my first point of call was the Independence Visitor’s Centre to pick up a ticket for a tour of Independence Hall. I had hoped that I could pick a time, but there were only spaces left on the 16:15 tour. On the brightside, this gave me plenty of time to check out the older parts of the city. I began with the President’s House, just across the street from the Visitor’s Centre. Much of the information detailed here was to do with George Washington and slavery. There is obviously much debate over the contradictions between the way the Constitution was written and how people actually lived. It seemed that the right to freedom was only available if you were white. Washington himself had brought slaves from his Mount Vernon ranch to work for him in Philadelphia, despite the fact that he had fought for the freedom of his people against the British. 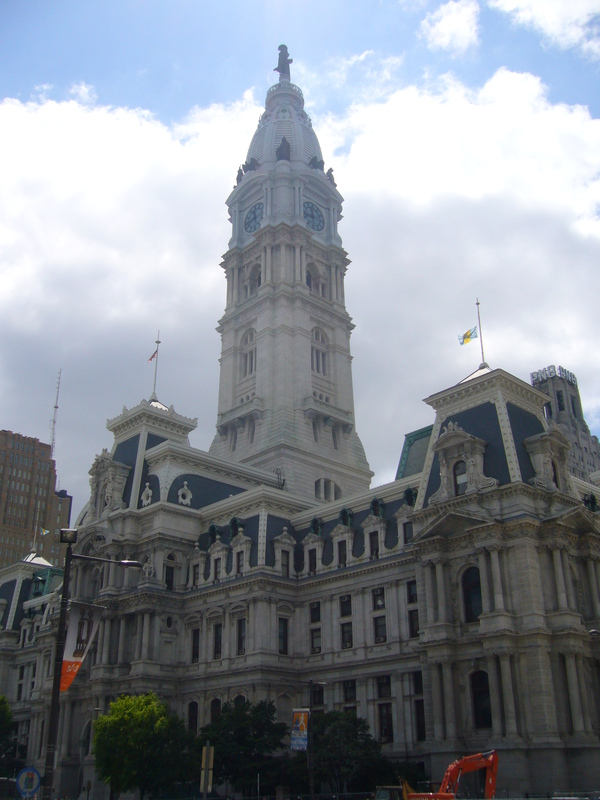 Also controversial was the fact that the state of Pennsylvania had already began the abolition process, banning slavery and only allowing slaves from other states to work for six months before they were freed. In order to get around this, Washington rotated the slaves between the President’s House and his home in Virginia. 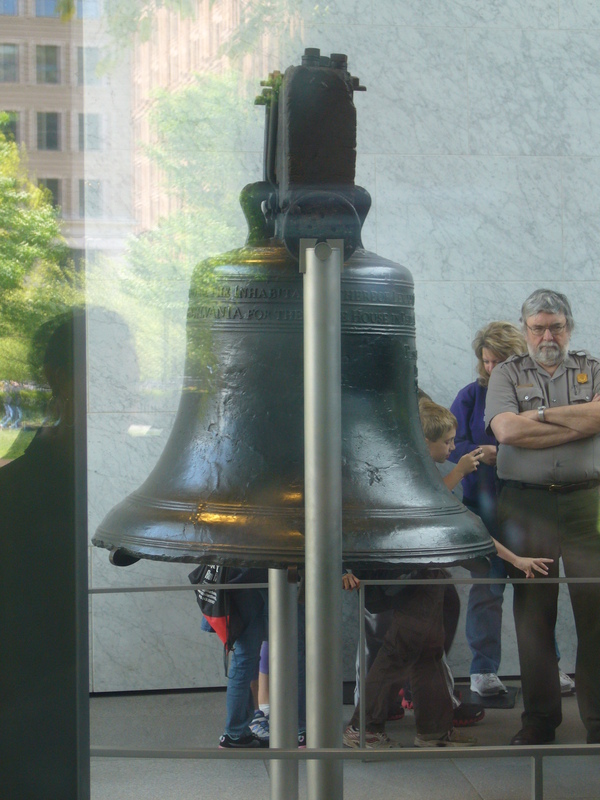 I had hoped to see the Liberty Bell, but as a place of national historic interest there were more than enough school parties queuing up to go inside and walk around it. Instead, I opted to take a look from outside, catching a break in the crowd to snap a quick photo unfortunately not from the side with the iconic split. My next stop was the American Philosophical Society, for obvious reason. (I’m a philosophy graduate.) Founded by Benjamin Franklin, over many years it had attracted some of America’s finest minds. 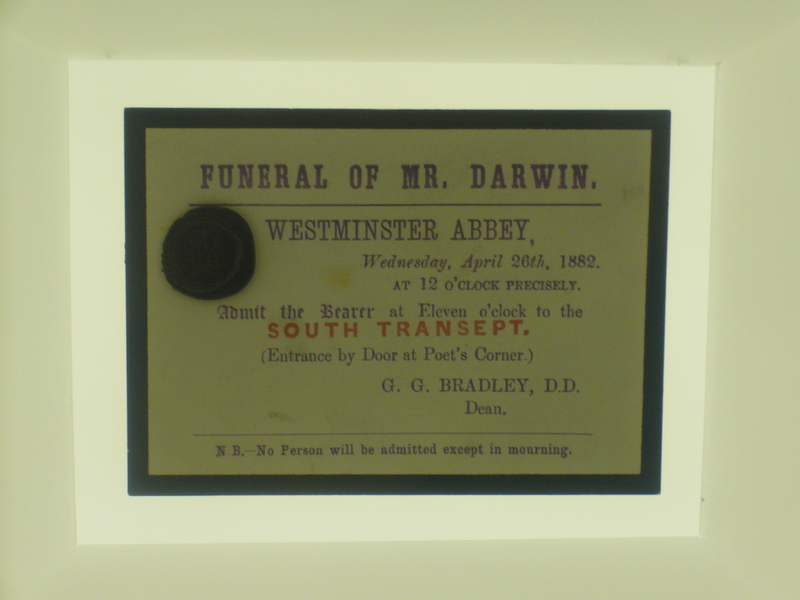 It has also taken in many foreign intellectuals, Charles Darwin has even been a member and in the small gallery open to tourists there was an invitation to his funeral. Sadly though, there was not much philosophy to be found and the rooms reserved for research were not open to the public. I decided that the next logical step would be Franklin Court; where I should have found a museum and several houses built by Franklin that contained artifacts and articles from his life. Instead, I found a building site; a new museum was under construction in honour of Franklin and his life’s work. Now, I wasn’t sure what to do so I wandered the streets until I found myself in front of the American Polish Cultural Centre Museum. Since visiting Warsaw and learning of the Warsaw Uprising I’ve had a greater interest and respect for the Poles, so I thought; why not take a look around. It was pretty interesting, documenting the lives of Chopin, Marie Curie, Casimir Pulaski and Tadeusz Kościuszko to name a few, and of course there was a whole section devoted to the efforts of Poland in WWII and I very much enjoyed this refresher of knowledge. Finally, I decided to make my way to the Delaware river, which marks the far side of the city centre. 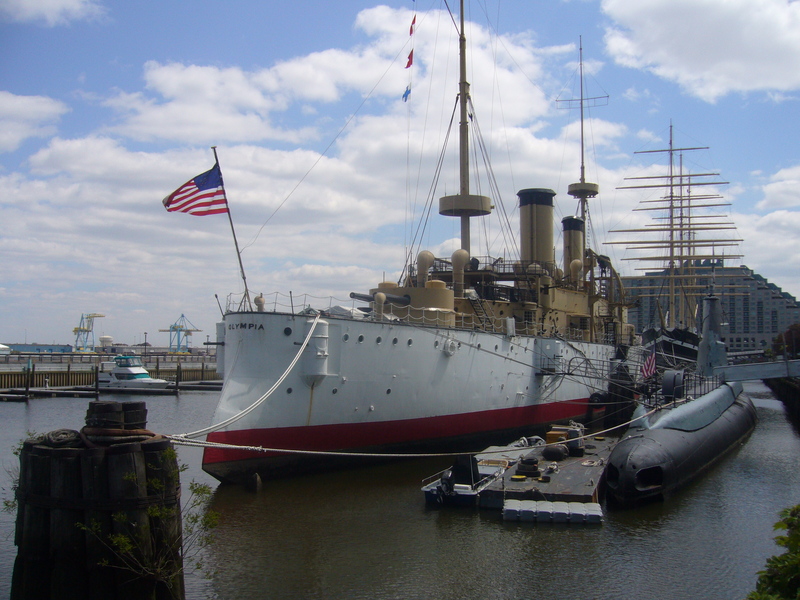 I found my way down to the cruiser; Olympia, and submarine; Becuna, before heading back to Independence Hall for my tour. 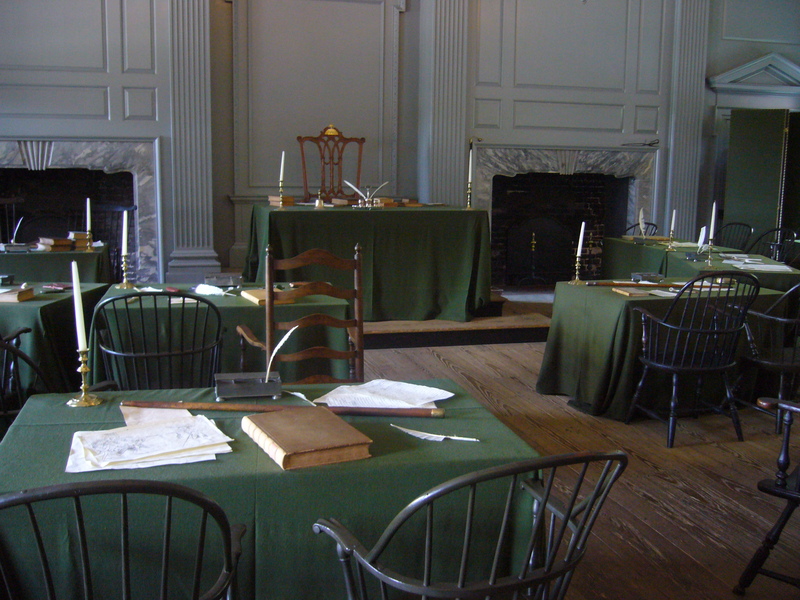 Independence Hall is where The United States of America as we know them today were founded. 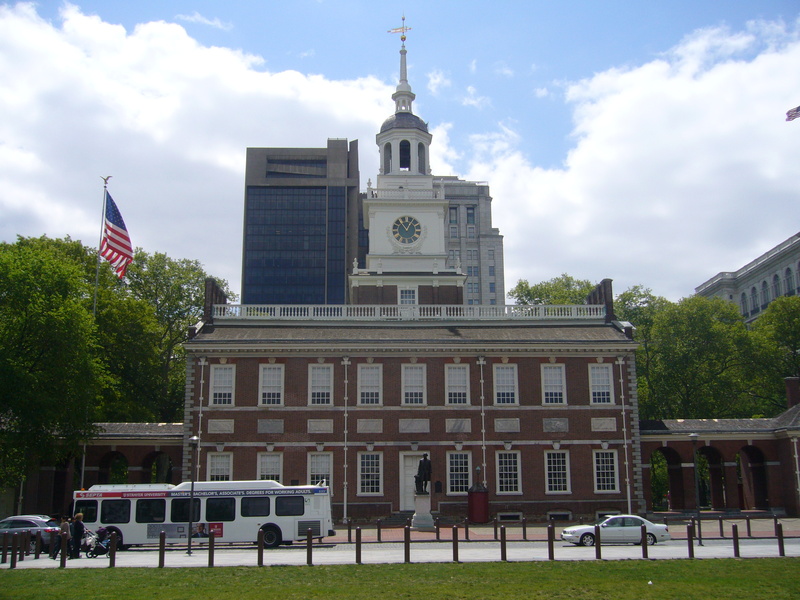 The Declaration of Independence and the United States Constitution were both drafted and signed under the same roof. The following day I was moving hostel. Chamounix was nice but it was very much a quiet hostel. In the morning I found somebody else who was heading the same way and we booked a taxi to take us across the town. We spent a couple of hours hanging out in down-town before chilling in the Apple Hostel. I met an Australian who introduced me to the basketball play-offs and we watched Lebron James of Miami Heat destroy the New York Knicks. After that we picked up some beers and got chatting with everyone else in the hostel which eventually turned into a foosball tournament and then one of the biggest games of ring of fire I have ever played. As I write this I am lying in bed nursing the worst hangover of my trip so far.